The reality of course is that American policy is no more to blame for Cuba’s economic and political problems than it was for the Soviet Union’s bread lines or for the fact that tens of millions of Chinese still live in poverty. The only people who are responsible for the Cuban people’s woes are their geriatric rulers, who insist on maintaining a socialist economy that almost all other countries — with the possible exception of North Korea — have realized is a failed relic of the past. It is these dictators who also deny their people access to the Internet. It is they who direct the security services that terrorize and harass any citizen who dares speak up against the Castro regime. It is they who imprison people who attempt to defy the system and make them endure unthinkable conditions. Many have fled their homeland permanently. Mr. Obama’s outreach has done nothing to change any of this. On Sunday, Antonio Rodiles, a prominent activist, was beaten by regime thugs, and nearly 100 others were arrested. Human Rights Watch reports that in recent months, “short-term arbitrary arrests of human rights defenders, independent journalists, and other critics have increased dramatically.” The Cuban Commission for Human Rights and National Reconciliation, an independent human rights group, puts arbitrary detentions for political motives in May alone at 641, the most in months. Yet Mr. Obama insists that building economic and diplomatic ties is likely to bring freedom and democracy to the island. However, our extensive experience with transitions from Communism has shown that economic opening and diplomatic engagement do not automatically lead to political freedom. No Communist police state has ever unclenched its fist just because a McDonald’s has opened or an embassy has been established. China began its economic opening in 1979; today it remains a one-party state, where the human rights activist Liu Xiaobo, the 2010 Nobel Peace Prize winner, remains in prison, along with other dissidents. Calls for political pluralism are silenced. Vietnam, too, years after throwing its doors open to American corporations, continues to be tightly controlled by the Communist Party. For many people in both countries, the standard of living has improved, but at a price: Prospects of political freedom for regular citizens are extinguished as elites with connections to the party become economic oligarchs. Chinese Communist Party leaders and their families have become rich beyond belief, and their grip on power seems unshakable. Instead of the administration’s approach — one-sided concessions that have served only to reward Cuba’s rulers despite their lack of reform — we should be stating clearly what reforms America expects before we deepen ties. We should reinforce our longstanding policy that Cuba must address millions of dollars worth of outstanding property claims and judgments. Individuals designated as domestic terrorists by the F.B.I. should be returned to the United States to face justice. Most important, all political prisoners must be released, and political reforms begun, so that Cubans can enjoy their fundamental freedoms. How do we achieve this? By standing firm in our commitment to the Cuban people. If the Castros — President Raúl and his elder brother Fidel — realized that they would be able to profit only by reforming and allowing more political and economic openness, increased United States engagement might make a difference. Otherwise, Mr. Obama’s policy will lead only to a deepening of repression. This is why so many dissidents in Cuba are denouncing Mr. Obama’s move as a betrayal. They know that the Castro family and other relatives control all the economic levers already, and will surely reap the benefits once American businesses, driven by the desire for economic gain at all costs, and American tourists, tempted by this newspaper’s idealized version of hip Havana, flock to Cuba. 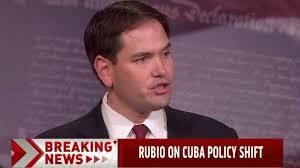 It is the ruling oligarchs who stand to benefit from Mr. Obama’s opening to Cuba, not the Cuban people. It is unfortunate that, after taking a strong if difficult moral stance for many years, we are now empowering those who deny the Cubans their wish to be free and prosperous.